Looking to give a bathroom some character? 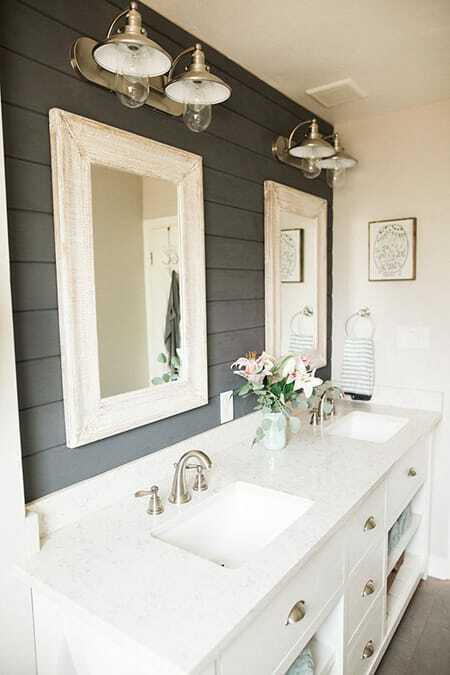 A great way to do that is with shiplap. This popular wall treatment is classic and stylish, not to mention looks great with a variety of design styles. Farmhouse and nautical styles are the most popular to pair with shiplap, but it actually looks great with other styles, too. 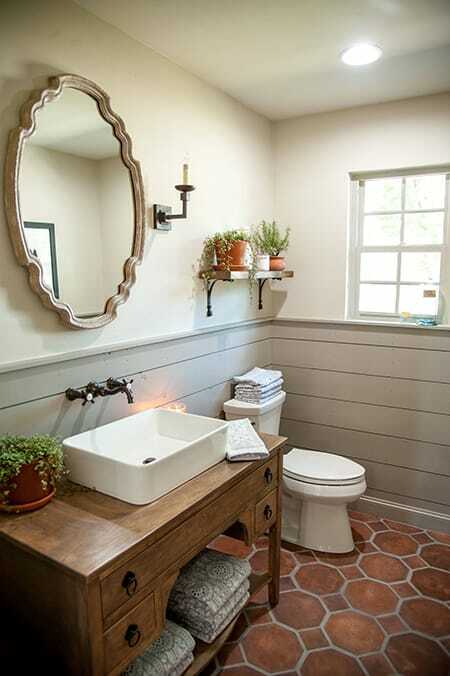 The rustic look of shiplap can add a charming touch to contemporary and traditional bathrooms. The color and finish of the shiplap have an effect on the overall look, too. Grey or white shiplap will have an entirely different look from natural wood shiplap. 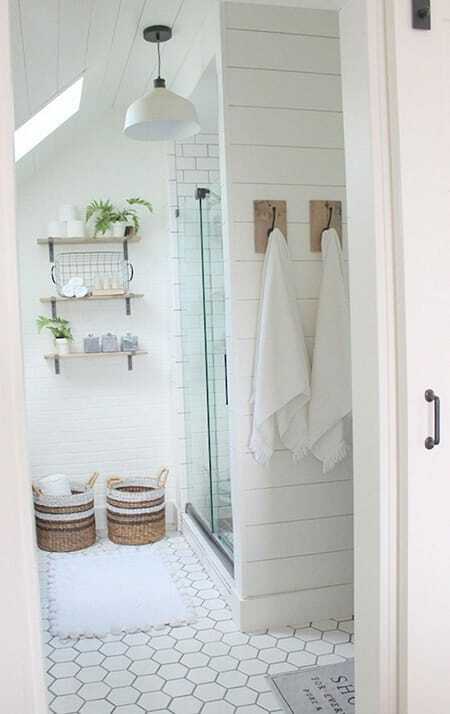 Here are 10 bathrooms with shiplap to give you some ideas and inspiration. 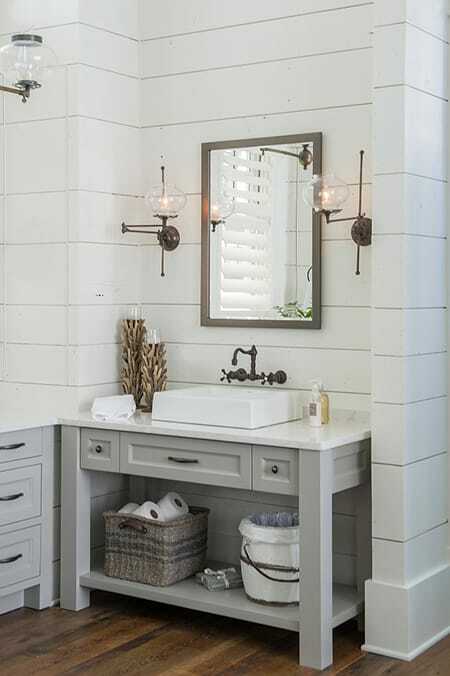 Grey shiplap is a beautiful contrast to the white vanity in both color and texture. 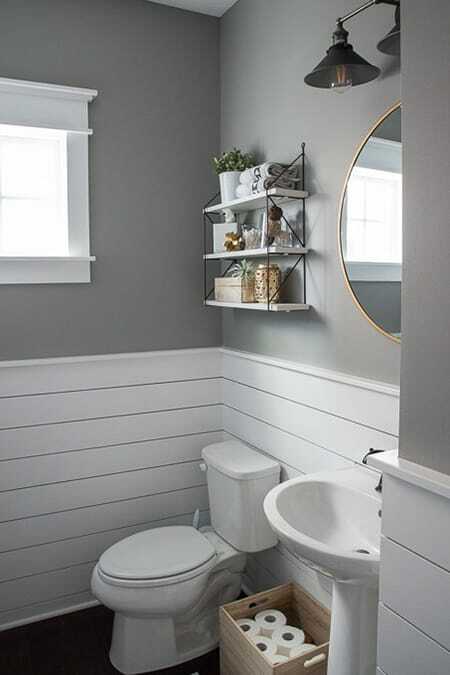 Grey shiplap brings a contemporary yet rustic touch to a bathroom for a lovely balance of styles. 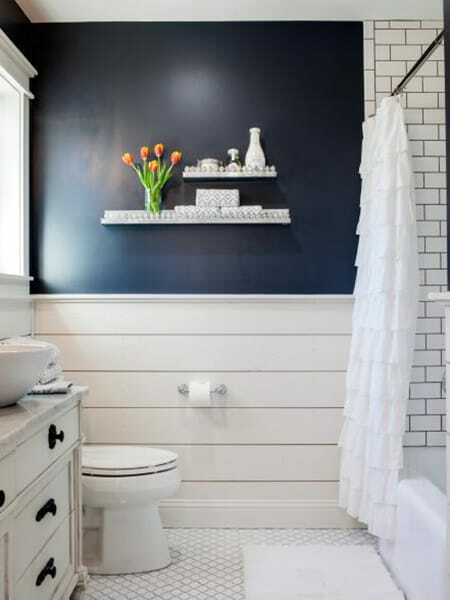 This bathroom has a subtle nautical vibe with the dark blue wall and shiplap treatment. 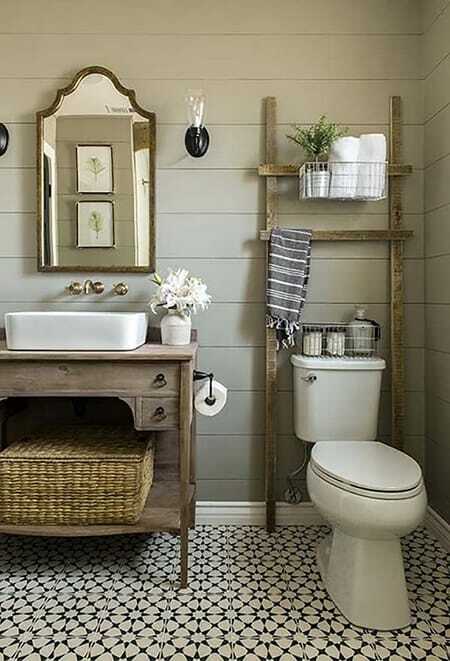 How adorable is this rustic, cottage-style bathroom? Love the vintage vibe. 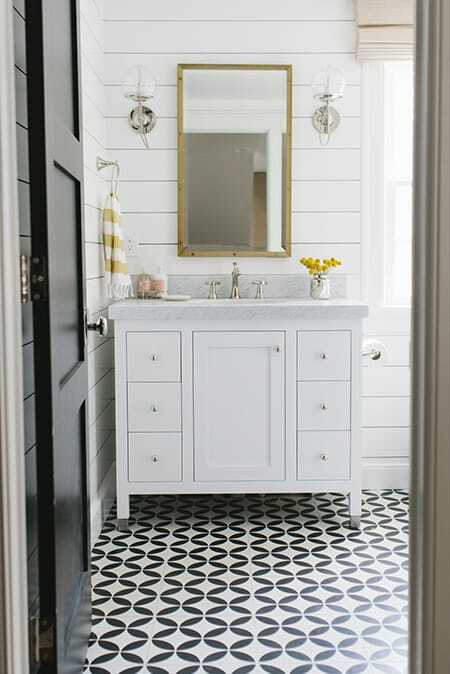 Although this bathroom is all white, the various textures and patterns give it some charm and visual interest. This bathroom design is clean and simple. Shiplap adds a lot of character while keeping it minimalist. 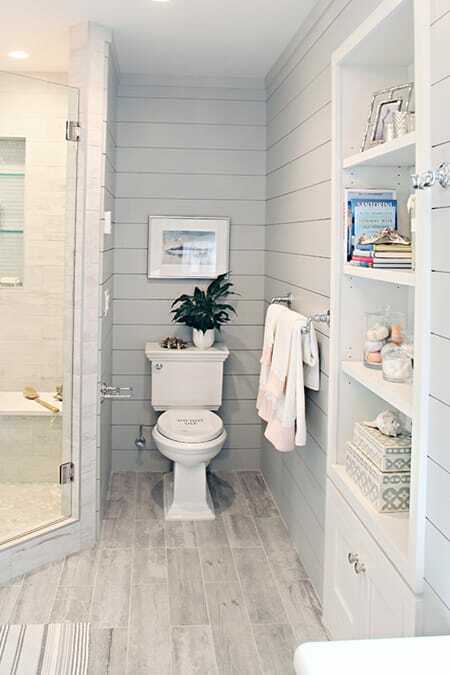 The grey accent of shiplap halfway down the walls brings some extra depth to this space. All the different lines in this space are dynamic and intriguing. How chic is this bathroom? It’s an adorable balance of modern and rustic ideals. 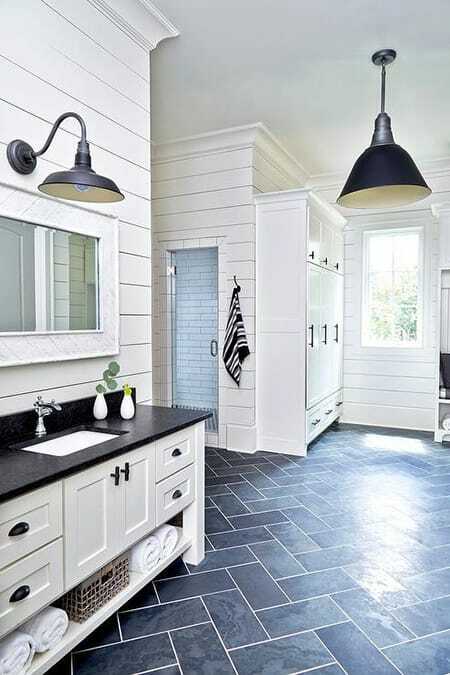 Shiplap looks both upscale and charming in this bathroom. What’s not to love about shiplap?